Summary: Christmas is coming again, you're now probably wondering about the type of gift with unique greeting card for those important persons in your life. An innovative merry Christmas card with best Christmas wishes can make a big difference when expressing your deep feelings. Here explains from the origin of Christmas card to modern Christmas ecards. AmoLink hope you can finally create an impressive Christmas card, that dynamic with sound and video, to your special someone! What is Christmas? How about the meaning of Christmas? In the Western world, Christmas is no doubt one of the greatest religious holidays. In fact, most people consider it to be the most highly anticipated and marketed one. Do you know where the word 'Christmas' sprang from? Christmas is derived from the words 'Cristes Maesse', meaning Christ's Mass. 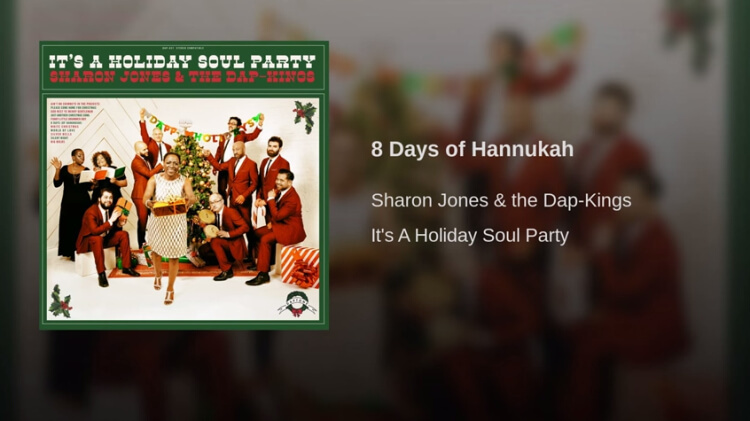 It is also sometimes referred to as Xmas. This 'X' in the word stands for 'Xristos', and means Christ in Greek. Xristos Mass is shortened to Xmas. Therefore, the meaning of Christmas is 'Christ's Mass' and it is surely the most important holiday in Christian's calendar, for which commemorates the birth of Jesus Christ. According to the Hebrew Old Testament of Holy Bible, Christ was the savior of the Jews. So, that's the religious meaning of Christmas. People around the world celebrate Christmas in various ways. Probably, the most popular traditions are those coming from Americans and British. In the history of Christmas, they contain gift giving and the figure of Santa Claus which is partly based on historical records of Saint Nicholas, a generous man with round belly and red cheeks. Although the exact date of Christ's birth is unknown for certain, Christmas is celebrated on the 25th of December annually. It is supposed that during the time of the Roman Empire in the 4th century AD, Christmas became an important Christian holiday and in the second half of the century, Christianity turned into the official state religion of the Roman Empire, just before it split into Western and Eastern empires. These can explain what is Christmas. Nowadays, Christmas holiday has a huge economic influence on western countries. It's one of the traditions that people celebrate Christmas Day by gift giving between family members, friends and loved ones. Those countries with a significant Christian population celebrate the holiday in masse, while many other countries pay more attention to the tradition of gift giving and neglect the religious true meaning of Christmas. Sending Christmas card is one of the gift-giving ways that greet and impress our beloved. Then what is the origin of Christmas card? 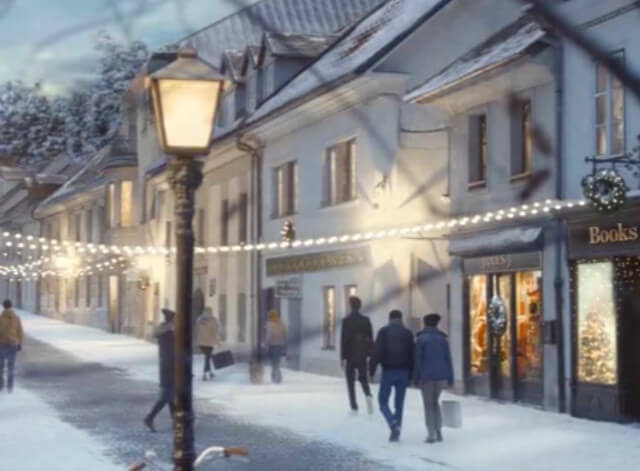 The origin of Christmas card is shrouded in controversy. 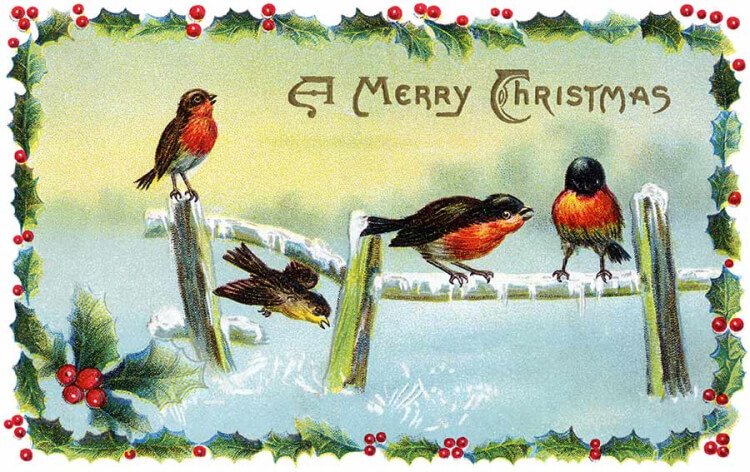 One account is that in 1842, a 16-year-old boy by the name of William Maw Egley engraved the first Christmas card. This card displayed a picture of Christmas dinner, dancers, skaters and the poor receiving gifts. Inside, the Christmas wish said "A Merry Christmas and a Happy New Year to you". This Christmas card still exists today. 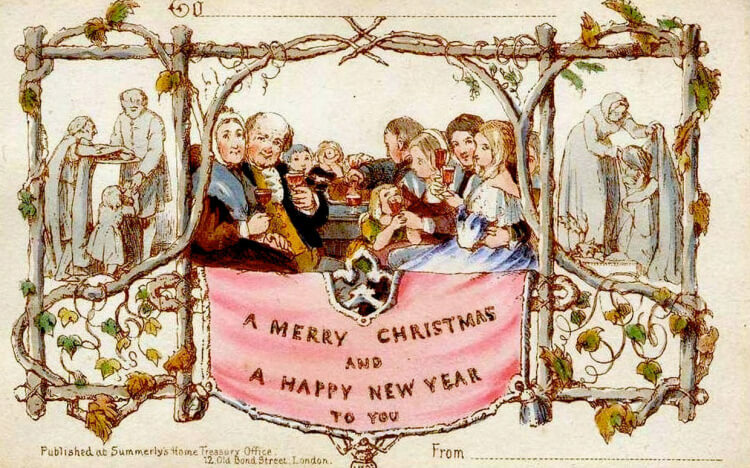 But the first Christmas greetings are often credited to Sir Henry Cole, not William Egley, although Egley's Christmas card was clearly around prior to Cole's. In 1843, Sir Henry Cole, the directory of the Victoria and Albert Museum in London, England, commissioned Christmas cards that were illustrated by John Callcott Horsley, a popular artist at the time. The illustration of this one-page stirred controversy because the scene depicted parents and a small child sipping glasses of wine, as well as the hungry being fed and the naked being clothed (although they were shown fully dressed). The Christmas words, printed on a banner in the center of the greeting card, read "A Merry Christmas and a Happy New Year to you." One thousand cards were issued by Summerby's Home Treasury Office and were sold for one shilling each. Only 12 of the original 1000 printed still exist today. In fact, not all people liked the Christmas card ideas. Some Protestant groups did not approve of them until the 1900s. During Cole's time, many people grumbled that such Christmas card was too secular, which would also contribute to children developing poor morals, "alcoholism and intemperance." Overall, the general public was fond of the Christmas gift ideas about sending greeting card. In the beginning, holiday Christmas cards were hand delivered with a calling card. In the 1840s, Brits started to mail greeting card to one another. Later, by the early 1850s, the Christmas gift ideas of sending greeting card had spread to other countries on the European continent. 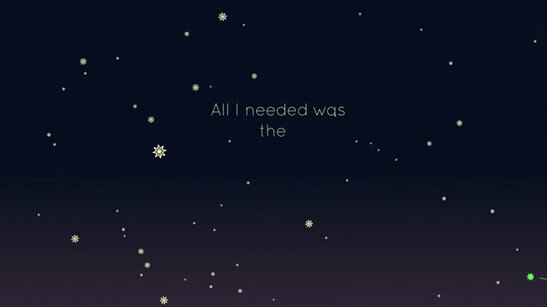 As we now know, the origin of Christmas wish refers directly to the Christmas holiday. It was initially the first Christmas greetings used for any holiday in the November-January timeframe. Therefore, afterwards, Christmas greetings are popular among Christians and the non-Christians alike. Then what did the early Christmas card look like? Compared with the modern Christmas card that features winter or religious themes, early Christmas card was entirely secular. They were more likely to present images of flowers, fairies and other springtime scenes. As time passed by, images of animals and children were used. More a Christmas collage than a Christmas card, at least in the modern way of thinking, these merry Christmas cards were cut in elaborate shapes and made of increasingly ornate materials. One early merry Christmas card, still in existence today, is made of 750 individual pieces of material sewn together. Other cards had silk, frosted glass, pearls, tassels, dried flowers and other ornate decorations attached. Do you know the father of American merry Christmas cards? He was award-winning Boston lithographer/inventor Louis Prang, who, in 1873, reproduced a holiday greeting card autographed by Christmas Carol author, Charles Dickens. Maybe the greatest one of Prang's many innovations was the development of a multi-color printing process, which incorporated as many as 20 colors on one print or card. Hues and detailing were so vivid that artists were sometimes not able to distinguish their own works from reproduced chromos (chromolithographic prints) when hung side by side on a wall. With full advantage of this technology, that's why the tradition of giving merry Christmas cards to family and friends spread around America so quickly. 3. The Essence of Christams Card, Why to Send? What will you do to tell somebody you care? Sending greeting card may be one of usual way to express your deep feelings or appreciations to others. You can go to the store, buy a card and let somebody else do the telling for you. Greeting cards are illustrated cards usually featuring a message of greeting or other sentiment. Although greetings cards are usually given on special occasions such as birthdays, Christmas or other holidays, they can also be sent on 'non-occasions' to say 'hello' or 'thank you'. Christmas is one event in the calendar that celebrated around the world in the most varied of ways, with customs and traditions differing from one region to another. Christmas celebrations also span a wide range from deeply religious to festively secular. Today, every country around the world has developed its own way of celebrating Christmas. 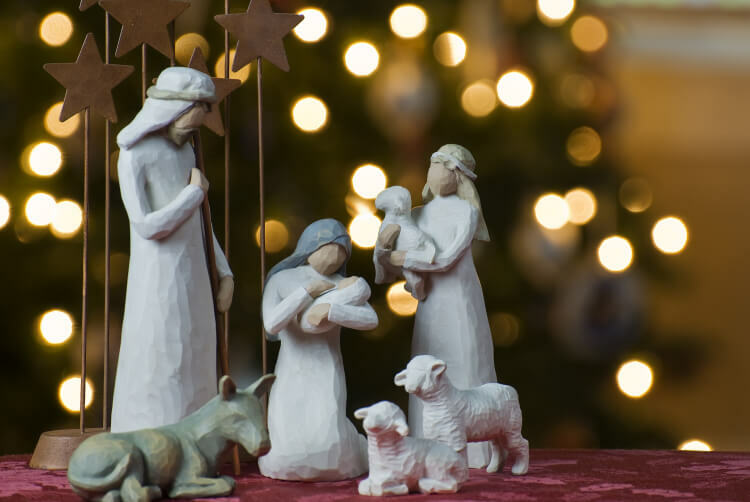 So far, typical content of Christmas greeting Card ranges from truly Christian symbols such as Nativity scenes and the Star of Bethlehem to purely secular references. Sometimes it ranges from humorous, to seasonal weather or common Christmas time activities like shopping and partying. Of course, the merry Christmas wishes differ from each other. People love to send cards on Christmas Day to express their Christmas wishes for both close friends and distant acquaintances. The Christmas greetings in the card can be personalized and are usually exchanged year after year, the phrase "to be off someone's Christmas card list" is used to indicate a falling out between friends or public figures. Many businesses, particularly smaller local businesses, also send greeting card with Christmas quotes to the people on their customer lists, as a way to develop general goodwill, retain brand awareness and reinforce social networks. These greeting cards with Christmas words are almost always tasteful, and do not attempt to sell a product, limiting themselves to mentioning the name of the business. When winter comes, it's always a season full of joy, a holiday brimming with cheer. Of course, you know the warmest expression of this holiday, Christmas, is the Christmas card. Just like giving presents on Christmas, Christmas greetings also occupy a major part of our Christmas celebrations. It's a different feeling altogether to send and receive cards with warm Christmas words! It's a great day to uncork the festive spirits in the hearts of all and sundry in both secular and religious ways. So we all embrace each other--the ones loved and lost and the ones still held close--with all your good Christmas wishes and Christmas holiday spirits. Warm and snug, as they are, greeting cards with merry Christmas wishes help one express a world of thoughts and feelings to one's loved ones. Research says that as many as two billion Christmas greeting cards are exchanged by Americans every year! Well, that says it all, doesn't it? Traditional Christmas cards in shop are always printed by paper and most of them contain the same Christmas greetings. That's why Christmas ecards are emerging because you can make your greeting personal. Christmas ecards' exchange is fast overtaking the traditional paper Christmas cards. When you shop for a card in a store, you find that the most of them have the same picture or graphic on the front and a very generic message inside. Why not send something different this year by searching for the convenient Christmas ecard? So, what benefits can Christmas ecard bring to us? With the millions of people using electronic mail, on one hand your Christmas card will be received in plenty of time for the holiday season. In addition, it saves you a lot of money in the cost of buying the cards and the stamps you need to mail them. In fact, once you start using Christmas ecard, you will likely send Christmas greetings to everyone you know. When your friends who live far away receive the Christmas ecard from you, they will really know that you are thinking of him/her and make their Christmas special. Sending Christmas greetings with ecard across the miles is far easier than sending a traditional card to another country without knowing whether or not it will ever arrive. What's more, as soon as your recipient has read the Christmas ecard, you can receive a notification. It is a pretty good chance you will get a thank you message from this person as well. This is an excellent way to keep in touch when you are too far apart to visit. There are many greeting ecard websites online, but here I will introduce AmoLink greeting ecard, it has many astonishing features you will be eager to have a try! I will show you the details below. Launched in 2015, AmoLink is a new platform for users to create eye-catching, animated and fun works online, especially the greeting cards. You can try AmoLink for free and there is no need for complicated design skills, which makes possible for anyone to design their own custom works immediately. Then what new feature does AmoLink Christmas card have? One of the best parts is the regularly updated free Christmas card templates. There are free templates for children, grandchildren, parents and parents-in-law, just as there is greeting card for husband and wife, lovers and friends. If there is one special person in your life to whom you plan to pop the question, you can even do so in the message of AmoLink Christmas ecards and perhaps next year this person will be your wife! Integrating dynamic effects, music, video, record and images, AmoLink users can easily create Christmas card with set of highly interactive free Christmas card templates, then share them through a QR code or link to e-mail, Facebook, Twitter, Google Plus, catching people's eyes in thunder speed! It automatically supports all kinds of screen, such as iPhone, iPad and Android, you can browse and edit your Christmas card anytime and anywhere. AmoLink Christmas ecards are really a wonderful way to share the joy and beauty of the Christmas season by sending your Christmas wishes to those near and far. It is far easier to manage your list of email addresses on your computer than it is to keep a file of all your friend's actual addresses, especially if they move often. Their email address stays the same. When you visit AmoLink site to mail ecards, all you have to do is to include the email address of the recipient and click send. Besides, with AmoLink Christmas ecard, you can have a better way to personalize your Christmas quotes by expressing yourself at this special time of the year. You can either choose from a selection of readymade formal Christmas wishes or other funny Christmas quotes. Furthermore, AmoLink Christmas ecards can be designed available for any recipient with various sentimental and inspiration graphics to choose. 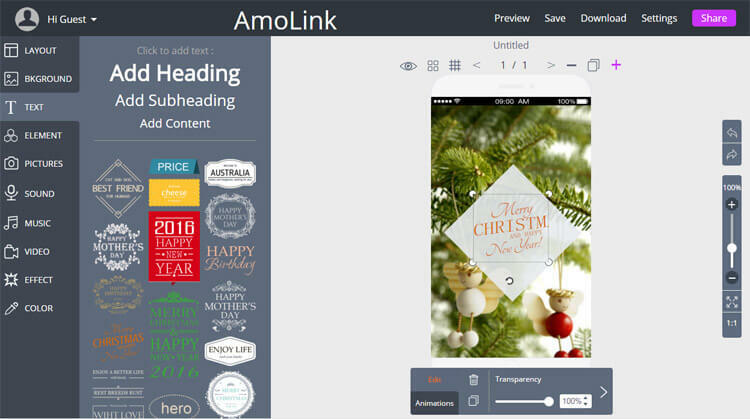 If you are new to sending AmoLink ecards at Christmas, you may have the idea that this is a really innovative way of sending Christmas greetings. Nothing could be further from the truth with the wide selection of AmoLink Christmas ecard that are available for you to personalize. Putting customers' need on priority, AmoLink team are committed to do best to perfect its product and service, so visitors will have better and better user experience. Supporting dynamic Christmas card design with text, sound and video, AmoLink hand-pick some top Christmas songs in 2015, hoping they are helpful for you to express your Christmas greetings. 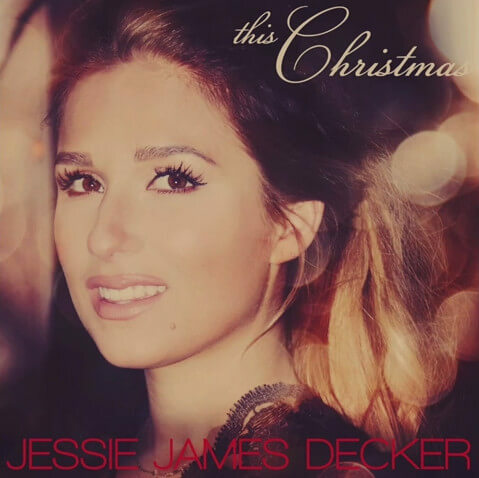 Below is the popular list of Christmas songs in 2015, with YouTube video link offered, you can enjoy and utilize them when using AmoLink to design your special Christmas card. 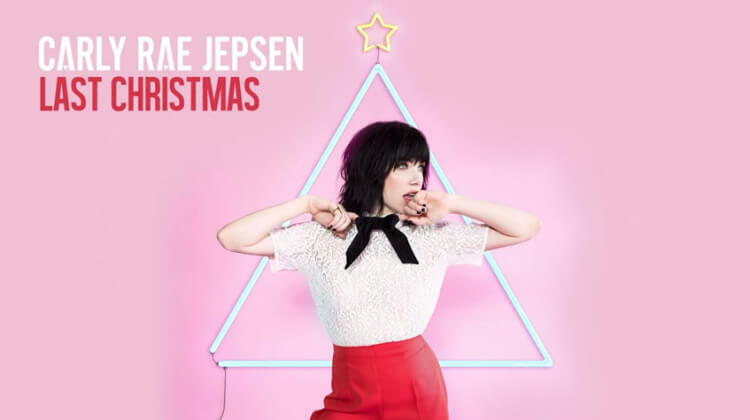 Christmas songs 1-Carly Rae Jepsen, "Last Christmas"
Christmas songs 2-Pentatonix, "Have Yourself a Merry Little Christmas"
Christmas songs 3-Jessie J, "The Man With the Bag"
Christmas songs 4-The Braxtons, "Mary, Did You Know?" 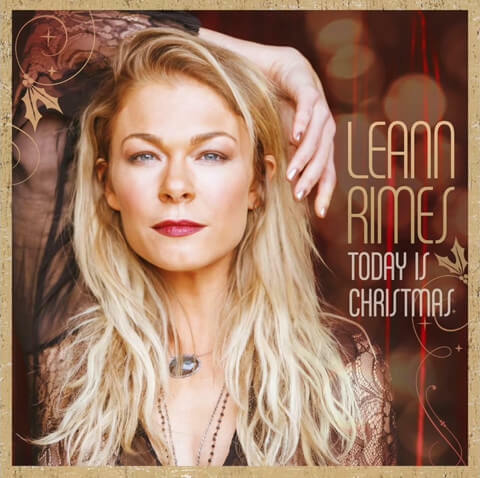 Christmas songs 5-Train, "Merry Christmas Everybody"
Christmas songs 6-Kylie Minogue & James Corden, "Only You"
Christmas songs 7-Sharon Jones & The Dap-Kings, "8 Days of Hannukah"
Christmas songs 8-Sabrina Carpenter, "Christmas the Whole Year Round"
Christmas songs 9-LeAnn Rimes & Gavin DeGraw, "Celebrate Me Home"
Christmas songs 10-Jessie James Decker, "This Christmas"
Above is the latest popular Christmas song list of 2015, hoping you would like it. 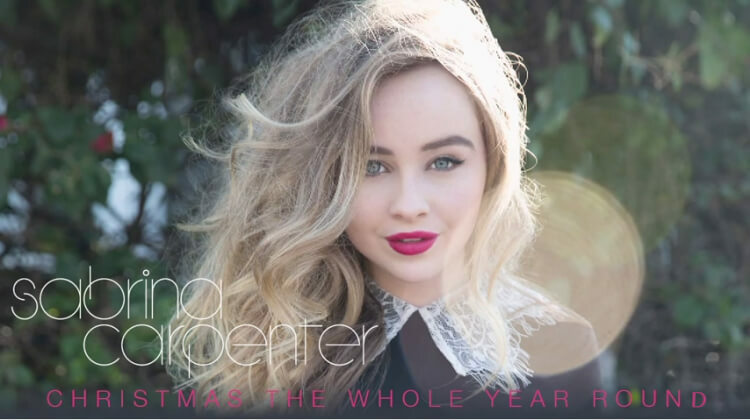 And if you want to download free Christmas music, you can just visit AmoyShare Free MP3 Finder or the Handpicked Free MP3 download sites in 2015 to search for and get. 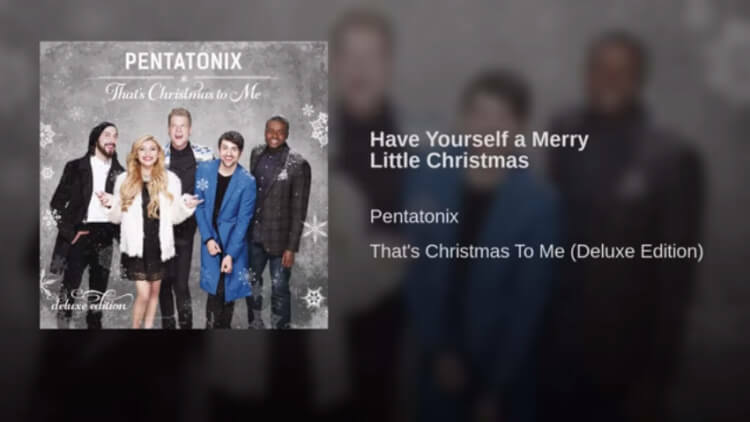 Of course, after download, you can utilize these free Christmas music in AmoLink to personalize your special Christmas card.